By Stephen Pate – When The Beatles dropped “Sgt. 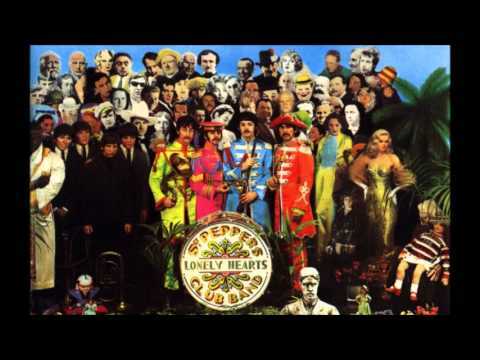 Pepper’s Lonely Hearts Club Band” on the first of June 1967, it blew away 250,000 fans who bought it that weekend. It was absolutely the best rock album we’d ever heard. Keep reading and I’ll tell you how it changed opened my eyes to a whole new world. Within 3 days Jimi Hendrix blew The Beatles minds by opening his June 4th show at the Savoy with a wild psychedelic cover. 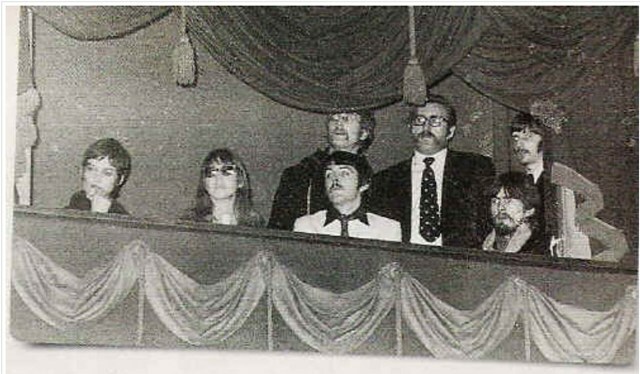 The Beatles were pleased and astounded he learned the title song and improvised over it. It was a momentous day in rock music. Sgt. Peppers was the first concept album by the greatest rock band of the day, and arguably all time. 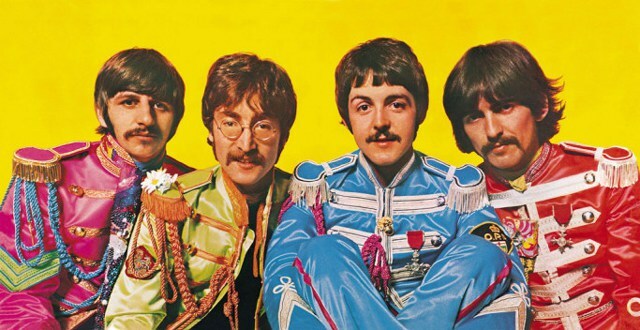 The album starts with the Sgt Peppers theme advertising a three-ring circus show, bleeding edge rock, elements of the British music hall show, sentimental ballads, traditional Indian music, psychedelic drug songs. The B side seems to close with a reprise of Sgt Peppers. Then a new song slowly starts, the fantastic dream song “A Day in the Life” with its drug infused orgasmic crescendo. A book could be written on just that one song. Before the 1967 Summer of Love was over 2.5 million eager fans snapped up copies of Sgt. Peppers. Do you remember how you felt the first time you heard Sgt. Peppers Lonely Hearts Club Band? Were you one of those release day fans? Or did you get yours before September? Share your Sgt. Peppers experience in the comment section below. We’ll enjoy all of them. If you’re particularly inspired suggest a 500 plus word story and I’ll print it. See the note at the end. We are just weeks away from May 27, 2017 when Sgt. Pepper’s Lonely Hearts Club Band [Anniversary Edition] will ship. It will be a huge celebration on the 50th anniversary of that Thursday in June 1967. Along with a CD, there will be a new 2 record vinyl LP. Super fans are snapping up the deluxe box set Sgt. Pepper’s Lonely Hearts Club Band with 4 CDs, DVD, Blu-ray Combo and 144-page book. Spring hits you in the face in Montreal, Quebec. Actually there is no Montreal spring. One day its freezing and then it gets hot and humid. On June 1st, 1967, it was 80 F. and 40 mile hour gusts slammed you in the face. I was 18 and living away from home for the first time with my older brother and 2 other guys. I couldn’t wait to leave my boring warehouse job. The MTC bus downtown was sticky with garlic and rancid sweat of tired waitresses, office clerks, and workmen. We rode arm pit to arm pit down Park Avenue to St. Catherine’s Street. Beatles fans around the world were anxiously and eagerly waiting for the 8th Beatles record. Would it be as ground breaking, psychedelic and weird as Revolver. We knew The Beatles would do something different. How different we could only guess. CFCF radio station was heavily promoting Sgt. Peppers . I just had to have it. 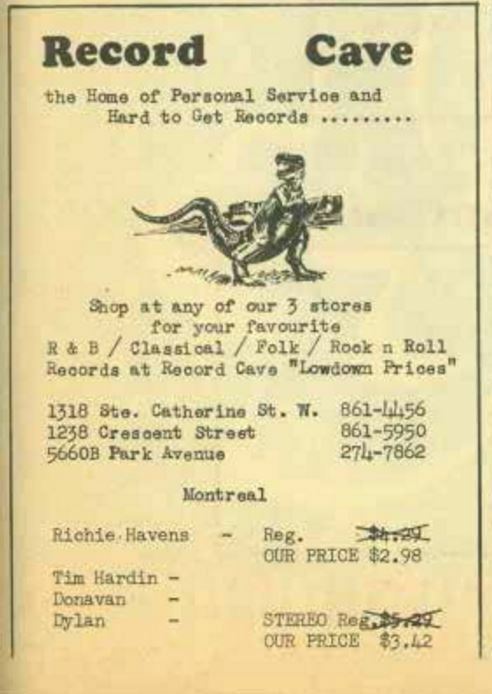 By 6pm, I was in The Record Cave, a subterranean music shop around the corner from Crescent Street, Montreal’s noisy and trendy strip of boutiques, restaurants and clubs. A few people crowded the narrow isles filled with rock vinyl. My excitement was intense. I paid $3 for a copy of Sgt. Peppers and hurriedly went up the stairs to a teeming St. Catherine’s. I grabbed a sticky, black poppy-seed roll, Coke and headed to the Metro. Up north in our 1-bedroom basement apartment, my 3 roommates were getting the party started. The postage stamp sized living room was quickly jammed with 18 and 19 year olds, all my friends then, who wanted to hear Sgt Pepper’s. It was an act of rebellion against the strict moral code of our church. Our apartment was a hub. When the needle hit the record for the first time, everyone was thrilled. We talked and danced and listened again. We argued over the cover. What did it mean? All night long we listened to Sgt. Peppers over and over. By 11 AM, couples had formed and the lights went down. I’d just been dumped by my girlfriend in Easton, PA for a Vietnam Vet but there’s more pretty girls than one. Christine my date was a beautiful ice maiden from Poland. Sheepishly I said I didn’t know the time and stopped playing. Christine hugged close as we rode my Honda to her place on St. Urbain. Her mother was fast asleep. I quickly made my get-away. The party re-started Friday night and went all weekend. I carried Sgt. Pepper’s on my Honda to apartments from Park Extension to Papineau to Cote Des Neiges. Christine’s mother was mad. On Saturday morning, I picked up some Fairmount Bagels and showed up before lunch. She flickered a frown then put on her best look while I sat in her kitchen listening to her talking. Word was out the church elders were gunning for us. We skipped Sunday service. Christine’s mother was really mad. On Saturday morning, I picked up some Fairmount Bagels and showed up before lunch. She flickered a frown then put on her best look while I sat in her kitchen listening to her talking.